The global powder metallurgy market is likely to reach US$8.7 billion by the end of 2020, up from US$6.06 billion in 2013, according to a new report. 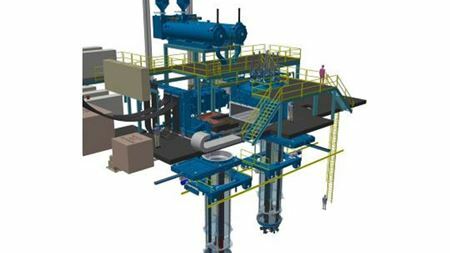 SECO/warwick Europe and Retech Systems (USA) will deliver melt shop equipment package to a new European facility for recycling of aviation-grade titanium. ARC Group Worldwide’s additive manufacturing (AM) division, 3D Material Technologies, has purchased additional metal 3D printing machines. Proto Labs Inc has acquired a new facility to expand its 3D printing service into a larger and more efficient additive manufacturing (AM) space. Jane LaGoy, technical services manager at Bodycote, has been given the 2015 ASTM International President’s Leadership Award. Linear Mold & Engineering has added new 3D printing machinery to help match the company’s rapid growth. NanoSteel, has received a US$10 million venture loan facility to develop its advanced portfolio of patented steel alloys. The Schlemmer Group, which owns metal powder provider Plansee, has opened two new plants in the Philippines and China. Metaldyne’s Indian, operation has been recognized by Ford Motor Company with a World Excellence Award for production in clutch modules. 3 July 2015Metalysis has hosted a visit from members of the European Powder Metallurgy Association (EPMA) Summer School. Lightweight metals specialist Alcoa says that it will permanently close its Poços de Caldas primary aluminum smelter in Brazil. Plansee Group says that it increased its consolidated sales in the fiscal year 2014/15 to €1.26 billion. ASTM International has presented its Award of Merit to Sherri Bingert, senior science advisor.